The horrifying urban thriller Paranormal Activity: The Marked Ones debuts on Blu-ray Combo, DVD and VOD April 8, 2014 from Paramount Home Media Distribution. Fans can be the first to bring the terror home when the film arrives on Digital three weeks early on March 18th. Called “a refreshing, reinvigorating and creepy new chapter in the series” (Ryan Turek, Shock Till You Drop), Paranormal Activity: The Marked Ones expands on the world created by the phenomenal horror franchise with an intense tale of black magic, superstition and possession set in a gritty urban environment. 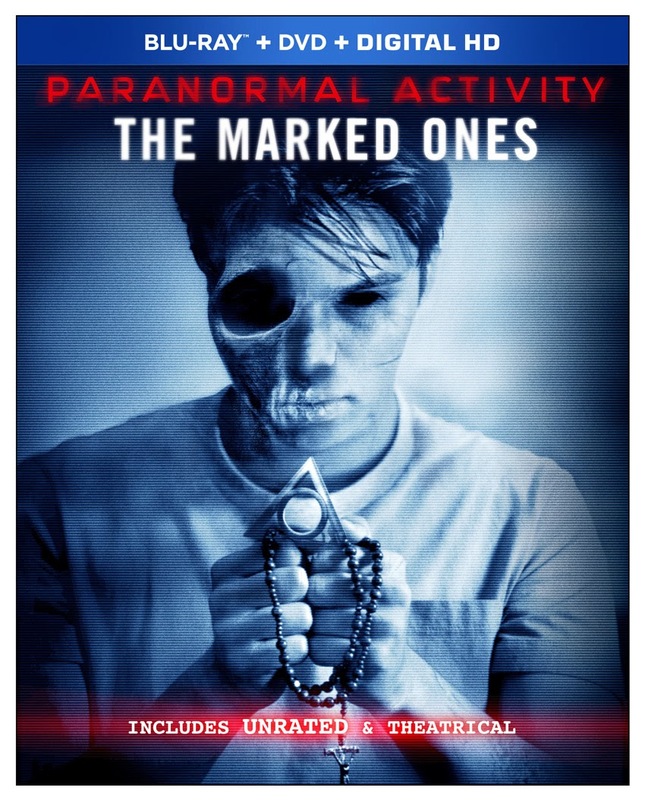 The Paranormal Activity: The Marked Ones Blu-ray Combo includes both the theatrical version of the film, as well as an extended, unrated cut, and intense additional found footage not seen in theaters. HOLLYWOOD, Calif. – “The activity is back with a wicked and evil vengeance” in “the scariest Paranormal yet” (Steve Barton, Dread Central), when the horrifying urban thriller Paranormal Activity: The Marked Ones debuts on Blu-ray Combo, DVD and VOD April 8, 2014 from Paramount Home Media Distribution. Fans can be the first to bring the terror home when the film arrives on Digital three weeks early on March 18th. Called “a refreshing, reinvigorating and creepy new chapter in the series” (Ryan Turek, Shock Till You Drop), Paranormal Activity: The Marked Ones expands on the world created by the phenomenal horror franchise with an intense tale of black magic, superstition and possession set in a gritty urban environment. The Paranormal Activity: The Marked Ones Blu-ray is presented in 1080p high definition with English 5.1 DTS-HD Master Audio, French 5.1 Dolby Digital, Spanish 5.1 Dolby Digital, Portuguese 5.1 Dolby Digital and English Audio Description with English, English SDH, French, Spanish and Portuguese subtitles. The DVD in the combo pack is presented in widescreen enhanced for 16:9 televisions with English 5.1 Dolby Digital, French 5.1 Dolby Digital, Spanish 5.1 Dolby Digital and English Audio Description and English, French, Spanish and Portuguese subtitles. A single-disc DVD containing the theatrical version of the film will also be available on April 8th.